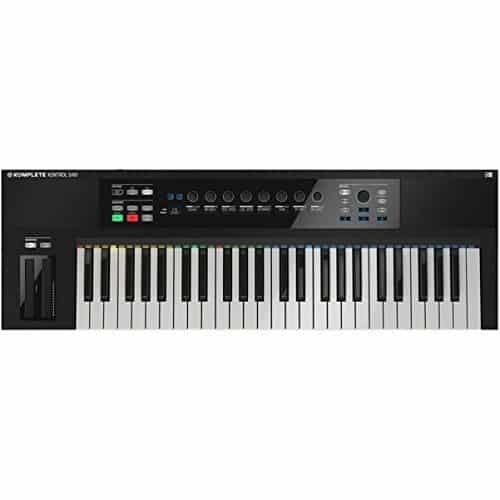 Buying a midi keyboard controller? You've come to the right place. There are a ton of midi controllers to choose from. We'll help you pick up the best midi controller with all the features you'll need and no more. It can be easy to buy an expensive controller with all the bells and whistles you'll likely never use. Let's avoid that. We'll discuss a few cases, and which keyboard would be the best for each. Hopefully this will help give you an idea of what you'll look for. A midi controller is an essential piece of equipment you need in your home studio. While it is possible to produce an entire track using your mouse and keyboard, there's no substitute for a good midi keyboard controller. 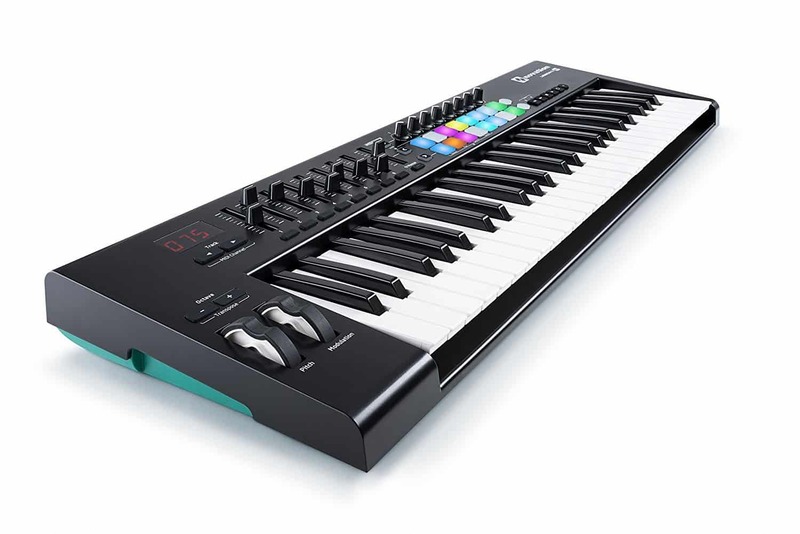 While some keyboard can be quite basic, manufactures are now offering keyboards with assignable knobs and faders for controlling parameters, LCD screens for displaying values, and even velocity-sensitive pads for creating beats. With all the variety available, choosing a keyboard controller can make your head spin. We'll take the time to review the basics and offer a few suggestions for the best midi controller for each use-case. By the end of this article you should be able to pick the best midi controller for you. Let's get started! This guide is going to cover midi keyboard controllers. There are midi controllers that exist that do not have keys, but for simplicity's sake, we'll focus only on midi keyboard controllers. The midi controller is typically the centre piece of most home producing studios. This is because most sounds in your DAW (desktop audio workstation) will be recorded with your midi keyboard as your input. While the keyboard doesn't actually generate any sound, it does send a midi signal to your computer to trigger sounds in your DAW. A midi keyboard is an essential piece of equipment for any electronic music producer. ​It is also useful for anyone else looking to create music in a DAW. The number of keys on your keyboard will determine the size and the number of octaves that are easily available. If you are comfortable playing with one hand and building your layers piece by piece - get a 25 or a 49. The 25 key midi controllers save a ton of desk space. Each controller will have an octave button to allow you to switch between each octave easily. We highly recommend either a 25 or a 49 for most producers. A 49 key will be big enough to play melodies across 4 octaves while minimizing desk space. If you will be producing complicated arrangements, or are used to playing a piano, go with a 61 or an 88 key keyboard. Keep in mind, these are huge and require most of your desk space - which can get cramped if you are also trying to fit audio interfaces, monitors, and your computer all on one desk. You may be tempted to pick up a controller with all the knobs, faders and pads. While this can be useful for some, I know a lot of producers (myself included) who just use the keys on the midi controller (and occasionally the drum pads) and control everything else using the DAW. If you think you will be the type of producer to map all of the faders, pads, and transport controls, then look for these features. My personal recommendation is to pick up something simple and not pay for a ton of features if you probably will just control in your DAW. There are great midi keyboards that offer a few of these extra controls (just in case you need them), but don't overload the keyboard. Unless you really want it, weighted keys on a midi keyboard are usually unnecessary. The standard of the 'synth-action' keys work just fine for any midi keyboard. If you want to have a little bit more response with your notes, then go with the semi-weighted. Another feature to consider is velocity response. This can be useful for the experienced keyboard player who knows how manage his/her expression while playing. If you are not a skilled keyboard player, having unintentionally different velocities can make your track sound sloppy. Again, I usually just fine tune the velocity of each note in the DAW after recording. You can use almost every midi keyboard for your DAW. If you are asking this question: will the _______ work with Logic Pro X? The answer is yes. Most keyboards won't require any drivers to be installed (although a few will) and can be used with any DAW. That being said, a few keyboards are specifically designed for a certain DAW. This means all of your faders and knobs will map automatically, making the setup much easier. If you are still concerned, we will point out any compatibility issues (if any exist) for every keyboard we recommend. Full-sized sustain pedal, arpeggiator button with adjustable resolution. 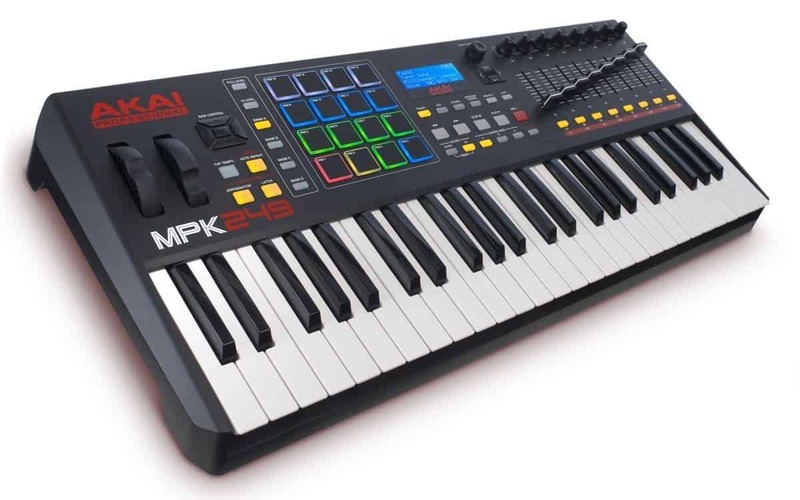 The Mini MKll from Akai is the top dog in the midi keyboard world. It has countless recommendations from music forums, top ratings on all music websites, and 853 reviews on Amazo﻿n (the best seller on Amazon). The high ratings are well deserved. It packs a ton of features in a small package for a very reasonable price. 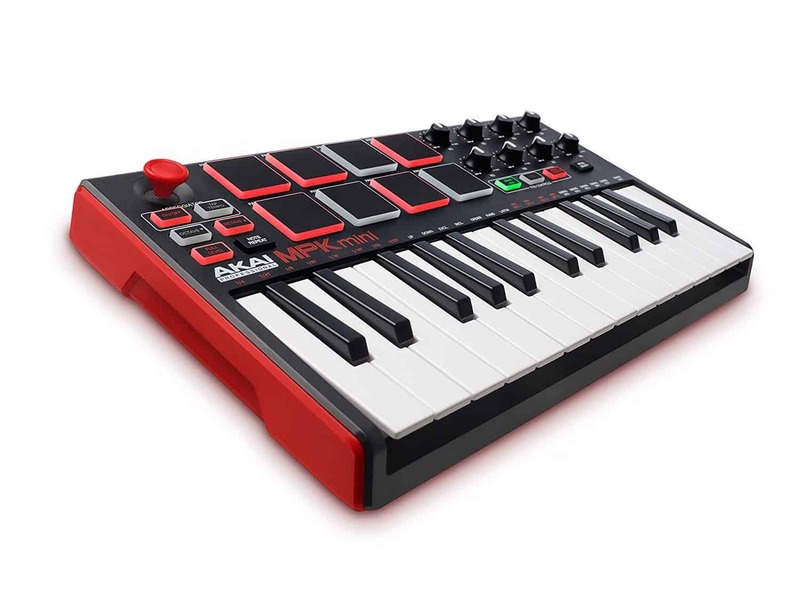 Akai has a reputation of producing high quality, reliable gear, and the MKll is their bestselling midi keyboard. First off, it has a small footprint. This may not seem like a big deal, but your workflow will improve if you have space to work with your keyboard and mouse along side your midi controller. The 25 keys give you two octaves, enough to lay out any melody ideas. If you're looking to do some beatmaking, it comes with 8 velocity sensitive rubber pads. This will be enough for most producers. These pads can also be loaded with other samples (such as vocal cuts) to expand your creativity. It's also possible to assign faders to the Q-link control knobs if you are looking to have an efficient workflow. Best of all - the MKll is incredibly simple to use. It requires no additional drivers and is powered using the USB input. It can be used instantly with any DAW software. The main attractions of this keyboard are the small size, easy plug and play, drum pads, and optional faders. This is the complete package for an incredibly low price. Bottom Line: The best midi controller for the money. This is the undisputed leader of the market at the moment. Best of all, you don't have to spend a ton of money to pick one up! Do you use Ableton Live? This is the perfect midi keyboard for you. Note: This keyboard will map to ANY DAW! This keyboard is available in 25, 49, and 61 keys. Due to the sheer amount of features, and the low price, this has become one of the most popular keyboard to get in the 49-61 key range. You get a bunch of bells and whistles included: 16 velocity sensitive drum pads, 8 knobs, 9 sliders, pitch bend and mod wheels, sustain pedal jack. In other words, everything you can ask for in mid-range keyboard. ​However, the reviews haven't been all positive. Some people have been complaining of the 'cheap' feel of the keyboard. We did notice a difference in feel when comparing to the higher end keyboards, but we are willing to sacrifice a little to get the great price! This keyboard is perfect for the producer who is on a budget, but still wants all the features of a higher end keyboard. ​This keyboard is designed for Ableton live, and will easily map to the DAW. However, just plug it in and map all the faders and knobs it will work just as well with any other DAW. ​Bottom Line: The perfect midi keyboard for the budget minded producer! If you need something in the 49-61 key range, with all the features of a high end keyboard at 1/4 the price, this is your keyboard. A higher end keyboard. We love Native Instruments. They have always produced high quality gear that is incredibly reliable and easy to use. This keyboard is fantastic if you are going to be using it with the Komplete Software packages. This keyboard comes with all the features you would expect from a high end keyboard. You will instantly notice the difference in feel compared to an entry level keyboard. This is due to the Fatar keybed with its high quality encoders. The multi-purpose touch strips replace the conventional mod wheels found on mid-range midi controllers. It also has a very versatile arpeggiator that turns one note into a full musical performance. The parameters of the arpeggiator can be controlled using the controller knob and is recorded as individual MIDI notes for post-performance editing. Other features include integrated scales to give you access to a world of melody. You can pick the scale you want to use and map it to the white keys. It will even re-map 'wrong' notes so you only play in the scale (this takes the fun out of things in our opinion, but can be a cool feature nonetheless). You can even play entire chords with using only a single key. These features can be hugely beneficial to anyone who doesn't have a solid grasp of music theory, or experience on the keyboard. Keep in mind, it will work with any DAW and requires a power adaptor (included). Bottom Line: A great high end midi keyboard that feels and looks great. It offers a few advanced features that can be very helpful to anyone who doesn't have a solid background in music theory or experience playing keys. 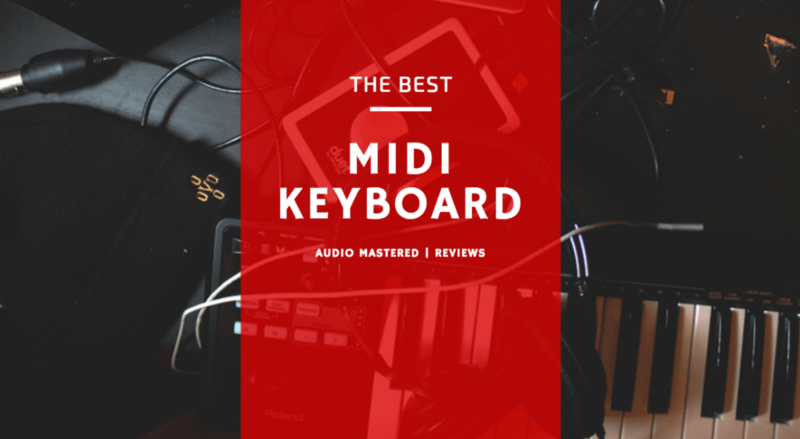 One of the most popular high end midi keyboards. This is the all-in-one high end controller that is great with every DAW. It is another highly recommended and reviewed keyboard from Akai. It is available in 25, 49 and 61 key options. This keyboard is all about quality. There is a noticeable difference to the feel of everything on this keyboard. For starters, the keys are semi-weighted - giving it a more natural feel. You also get 16 MPC pads which are perfect for creating complex (or simple) drum lines. It also has 8 assignable knobs, faders and switches, pitch and modulation wheels, sustain jack, and expression jack. It is able to integrate with every DAW, and comes with a version of Ableton Lite (stripped down version of Ableton Live) if you don't currently have a DAW. ​Bottom Line: One of the best midi keyboards in the high end price point. If you are willing to pay a little more for quality, this is your keyboard.